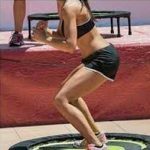 10 Negative Side Effects of Rebounding: Is It Bad For You? » 10 Negative Side Effects of Rebounding: Is It Bad For You? Since so many experts claim that rebounders are the ultimate at-home fitness tool, we couldn’t help but think about the negative side effects of rebounding. The Ancient Greeks emphasized a strong, healthy body. Nothing much has changed since then, and the people of today continue to work on their physical health. Perhaps the only thing that has changed are the tools that help us exercise. The rebounder is one of the many fitness accessories that we use at home. The popularity of the contraption has skyrocketed recently. Many praise it for the positive effect it has on our muscles and our lymphatic system. Moreover, some claim that it helps boost our confidence. Still, however beneficial, no fitness tool comes without its drawbacks. Here’s a question that rebounder owners ask most often. 1) Can Rebounding Be Bad for You? 2) Is Rebounding Bad for Your Back? 3) Is Rebounding Bad for Scoliosis? 4) Is Rebounding Bad for Ankles? 5) Is Rebounding Bad for Knees? 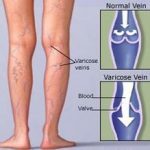 6) Is Rebounding Bad for Varicose Veins? 7) Is Rebounding Bad for the Pelvic Floor? 8) Is Rebounding Bad For Your Bladder? 9) Is Rebounding Bad for Prolapse? 10) Is Rebounding ﻿Bad﻿ for Hypertension? It’s actually hard to believe that rebounding can be bad for us, especially when so many websites state otherwise. Many see rebounding as this miraculous cure that helps with all sorts of ailments. What makes it bad, then? The truth is, any form of exercise has its risks, and rebounding is no different. In fact, a study has shown that many people suffer from trampoline-related injuries every year. Sprained ankles and painful knees are just a few examples. Children, on the other hand, tend to fall off the trampoline, which results in cuts and bruises. However, we believe that these injuries are most likely the result of recklessness. It goes without saying that we have to exercise properly; otherwise, we might get hurt. We often can go overboard with our routine, which can have painful results. Now, let us focus on how rebounding can negatively affect different parts of our body. 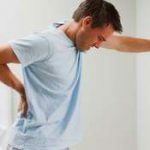 If our back is generally in good condition and we don’t have a history of back pain, we should be fine. However, rebounding can be bad news for people diagnosed with pinched nerves, osteoporosis, or sciatica. If we were diagnosed with similar conditions, we should consult a doctor first. That way, we’ll make sure that we can exercise without straining our back too much. The forces that allow us to rebound are strong and sudden. As such, they can affect our spine by “compressing” it. In other words, our joints will overstretch, and the pressure on our discs will increase. The discs are located between each vertebra in our spine. We put more pressure on them while jumping up and down. As a result, the soft tissue that surrounds them can become inflamed. Simply put, the tissue cannot endure the effect of the rebounding forces. Speaking of back problems, scoliosis is a common deformity that causes curvatures in our spine. Whatever the type may be, scoliosis manifests itself in one’s formative years. Consequently, scoliosis in adults is generally residual, which means that they have developed it much earlier, in their childhood. There is an ongoing debate on the effects rebounding may have on scoliosis. Some people advise against jumping on trampolines, arguing that it will put additional pressure on the spine. Others even say that they experienced the negative effects firsthand. Orthopedists agree that those affected by scoliosis should remain active. However, most of them share the opinion that rebounding can be dangerous. We should note that the severity of the condition varies from person to person. Therefore, it’s hard to claim that everyone who has scoliosis should stay away from trampolines. Simply put, there are too many factors to consider — the degree of deformation, our age, and overall health being the most important. Interestingly enough, jumping on a rebounder is a less strenuous alternative to using a jump rope or running. That is because the trampoline mat is much softer than concrete or similar surfaces. 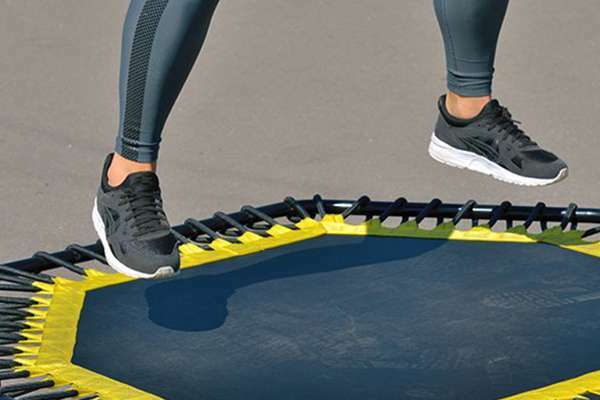 It’s safe to say that the rebounder is designed to go gently on our ankles. But, is that always the case? We mentioned earlier that overdoing any exercise can result in some kind of discomfort. The same goes for rebounding. If we are in a rush to experience the benefits, we will only end up doing the exact opposite. Jumping either too high or for too long will likely result in painful joints. On top of that, incorrectly landing on the mat can lead to sprained ankles. The risk of ankle damage increases as we get older. That is because our ankles become weaker and our balance decreases. Therefore, we either have to be extra careful or simply try something else. For the most part, rebounding is not necessarily bad for our knees. 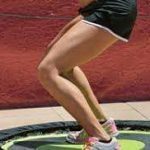 However, there are a few situations where we can hurt our knees while using a rebounder. First, we have to consider what kind of a mini trampoline we are using. By that, we mean the quality of our rebounder. 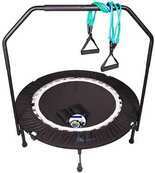 Not all rebounders are made equal, and the lower the cost of the mini trampoline, the more likely we are to get hurt. Cheap rebounders have mats that stretch easily and become saggy after a while. Jumping on such a mat can misalign our ankles, hurting our knees in the process. Second, we have to mind our posture while rebounding. Even though the padding is soft and stretchy, it still exerts some force on our body. That is why our knees must be slightly bent when we land. Conversely, keeping our knees straight all the time makes the rebounder surface no different from a concrete one. Ultimately, rebounding is safe for our knees as long as we pay attention to how we rebound and what kind of rebounder we use. Since many people claim that rebounding stimulates circulation, it is hard to believe that rebounding is bad for varicose veins. In fact, improved blood flow can alleviate or even prevent the unwanted condition. Regular rebounding actually increases our blood flow, so the blood won’t pool in our veins. In contrast to popular belief, any form of exercise can improve our circulation. People tend to believe that varicose veins are the result of running or jumping, but that isn’t the case. That being said, are there really any downsides to rebounding with varicose veins? The truth is, it all comes down to the intensity of our workout. While soft rebounding is certainly not strenuous for our veins, intense workouts may cause them to swell. 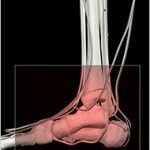 What’s more, research has linked increased muscle tone to unhealthy veins. Ultimately, we advise our readers to listen to their bodies and adjust their workout routine accordingly. To get to the bottom of this, we first have to explain the different functions of the pelvic floor. This group of muscles is more commonly associated with female anatomy because women have a larger pelvic cavity. However, men do have their equivalent as well. The pelvic floor provides support for our intestines, bladder, and uterus (in women). Moreover, it provides control over bladder and bowel movement (continence). In general, if we have a weak or painful pelvic floor, we should avoid straining it while rebounding. Luckily, we can modify our exercise routine to lessen the impact. First of all, we should always keep one foot on the rebounder. What’s more, we should avoid landing with both feet at once. In fact, research shows that female trampolinists have a higher risk of developing pelvic floor problems, due to the high impact of the exercises. Additionally, we should shorten our rebounding sessions, and avoid using any weights. Read more about strengthening pelvic floor muscles with a mini trampoline here. Many women suffer from some degree of urinary incontinence after giving birth. Basically, the condition causes them to lose control over urination, and even more so when they do any physical exercise, such as running or jumping. As we rebound, our bladder movement increases. Consequently, the pressure at the neck of the bladder will decrease, allowing urine to leak out into the urethra. Luckily, our pelvic floor will prevent further leakage. However, as we jump, the pressure on our pelvic floor increases until it cannot support the weight of the bladder any longer. Our readers can guess what happens next. Rebounding, in general, does not negatively affect the bladders of healthy individuals. Nevertheless, those who have been diagnosed with urinary tract problems should be careful. With that, we should never rebound with a full bladder. Moreover, we should consider the intensity of our exercise. Starting small and working our way up is the best way to go about it. Even though rebounding is said to strengthen our pelvic floor, those suffering from pelvic organ prolapse should refrain from bouncing. Since rebounding is basically an up-and-down motion, its force translates to our pelvic floor. Aside from rebounding, we should also avoid any high-impact exercises such as running or jumping. What’s more, even a chronic cough can make the prolapse worse. Experts agree that any form of exercise that directly strains our pelvic floor should be avoided, or at least modified. That being said, we should consult our doctor before we decide to use a rebounder. After all, the consequences may vary depending on how severe our prolapse is. 10) Is Rebounding Bad for Hypertension? Aerobic exercise can help us reduce our blood pressure. Rebounding allows for intense cardiovascular exercise, which increases our heart rate. Yet, this rise can indeed be dangerous for people who suffer from hypertension. A study conducted in 2012 claims that hypertension reduces as we do aerobic exercise. Rebounding improves the efficiency of our heart by increasing our heart rate. Moreover, we can prevent blood clots by rebounding, as it positively affects our circulation. However, rebounding for lower blood pressure isn’t entirely risk-free. The risk is even greater if our blood pressure goes beyond 180/100. That is because this increase in heart rate can be taxing for our heart muscles. As we can see, there are quite a few negative side effects of rebounding. It seems that the highly praised exercise doesn’t come without some drawbacks, after all. Let us get one thing out of the way first — by no means do we want to discourage our readers from using a rebounder. Instead, we wanted to point out some of the risks involved in using this popular fitness tool. In addition to that, we got the impression that improper exercise is the most common cause of trampoline-related injuries. Have you experienced any of the above-mentioned side effects? If so, please tell us in the comments below and share this article with friends who also enjoy rebounding.